Being able to recognize the signs and assess the symptoms of depression is crucial to palliative care providers. In this webinar you will learn how mental health providers can help with palliative care by being able to appropriately recognize, assess, and provide intervention to patients with depression. Scott Irwin, MD, PhD is the Director of Supportive Care Services at Cedars-Sinai's Samuel Oschin Comprehensive Cancer Institute. This program focuses on preventing and relieving suffering while improving the quality of life for patients with cancer, and their families. Dr. Irwin received research funding from the NIMH, the NPCRC, the Archstone Foundation and the John A. Hartford Center of Excellence in Geriatric Psychiatry. He is the author/co-author of over 100 articles, chapters and abstracts, is frequently quoted in the media, and has been recognized at many levels for his innovative research, teaching, and clinical endeavors. Prior to joining Cedars-Sinai in 2015, Dr. Irwin was Director of Psychiatry & Psychosocial Services and Patient & Family Support Services at the UCSD Health System’s Moores Cancer Center. 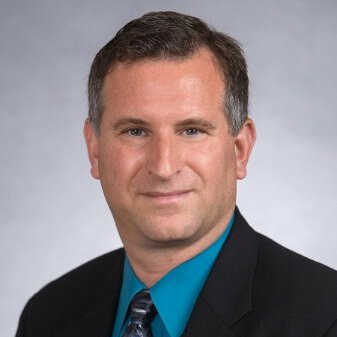 He also served as Director of Palliative Care Psychiatry and an Associate Clinical Professor in the Department of Psychiatry in UCSD’s Health Sciences. From 2006 to 2013, Dr. Irwin was the Chief of Psychiatry & Psychosocial Services and founder of the Psychiatry Programs at San Diego Hospice and The Institute for Palliative Medicine. In 2009, these programs were honored with the Gold Achievement Award for Innovative Programs from the American Psychiatric Association’s Institute on Psychiatric Services. Dr. Irwin earned his MD and a PhD in neuroscience at the University of Illinois. In 2006, he completed his psychiatry residency at UCSD as chief resident of Outpatient Psychiatric Services, as well as a two-year elective in hospice and palliative care at San Diego Hospice.